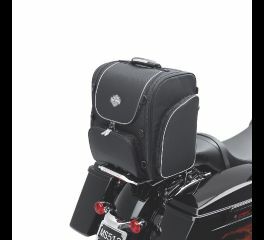 This full-sized rack is especially designed to complement Tour-Pak® lids with armrest-style passenger backrests. 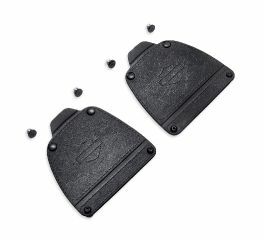 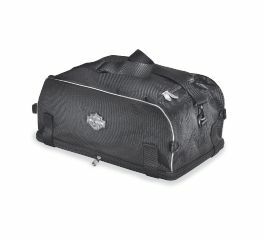 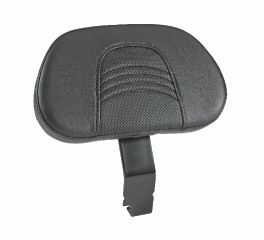 Protects both Tour-Pak® carrier's lid and passenger backrest from scratches. 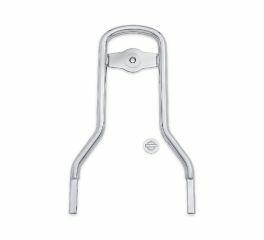 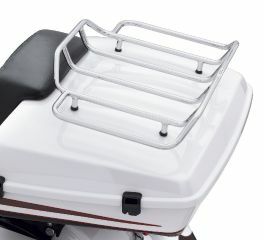 This rack brings touring flexibility to your motorcycle. 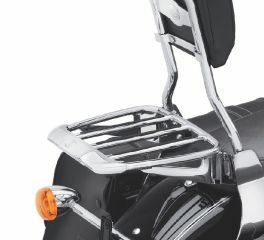 The low-profile aerodynamic styling defines the look of this Luggage Rack. 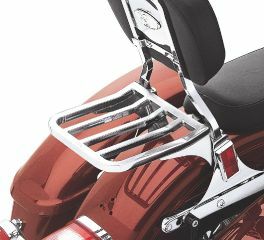 Available in mirror chrome or rich gloss black finish the die-cast rear "Air Foil" grabs your attention, and the Bar & Shield insert adds a signature touch. 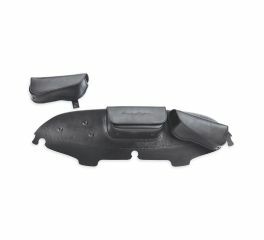 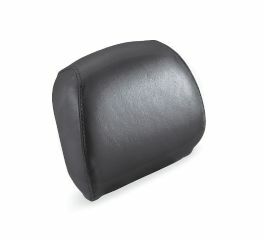 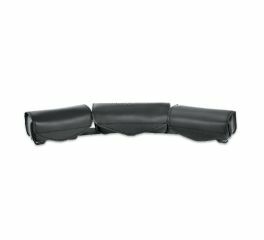 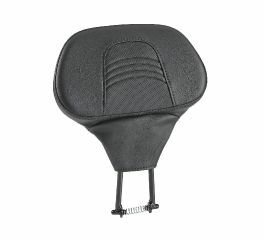 Designed to provide a little extra support on a long trip, snap-on some comfort with this backrest pad. 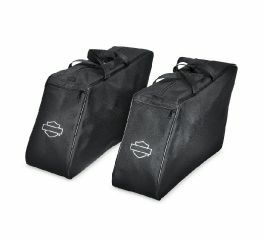 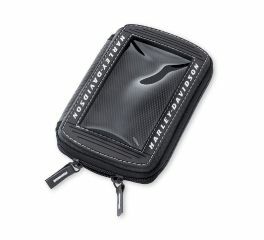 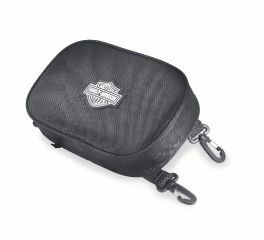 Backrest pad measures 10" x 7"
This portable music system pouch is designed for motorcycle use. 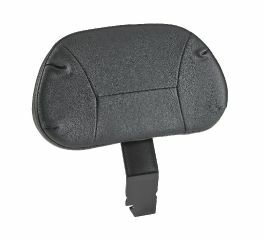 Simply plug in your headphones or connect your in-dash Advanced Audio Radio with an auxiliary cable or Boom!™ Audio iPod® Interface and enjoy your music collection. 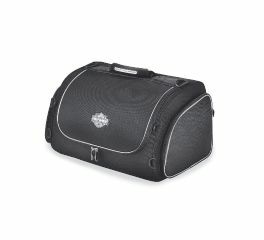 The Premium Touring Bag is ideal for a long weekend trip, but expands an additional 4" when you need to store a few extras. 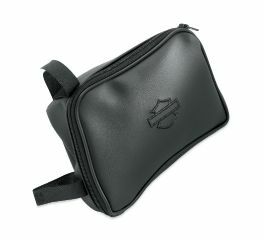 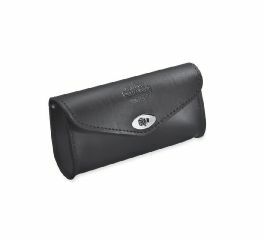 Great for small items like cell phones and sunglasses, this compact bag tucks neatly in the left side of the frame for a clean look.